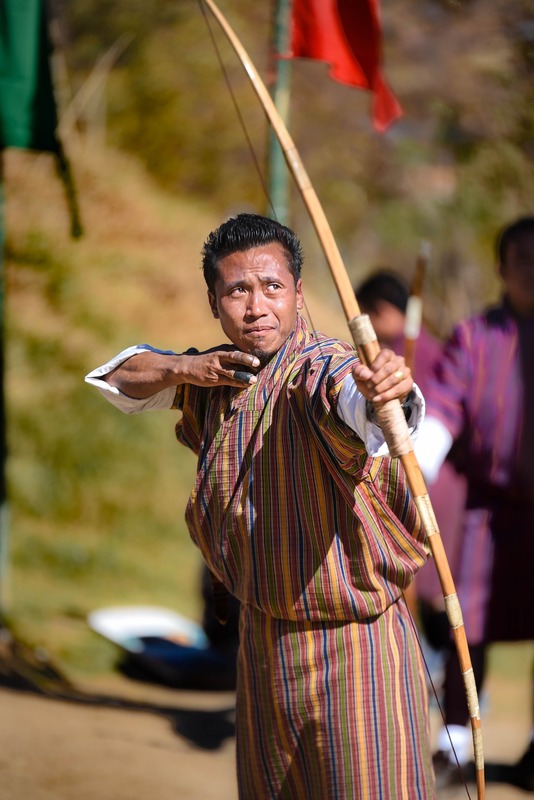 The Bhutan Archery and Market Tour combines all of the traditional reasons for visiting Bhutan, with exciting activities and interesting cultural experiences. 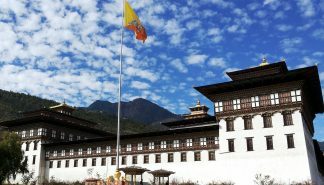 The tour includes visits to the Tachogang Lhakhang Temple, a traditional paper production facility, the Thimphu weekend market, the Changlimithang Archery Range, and the Tiger’s Nest Monastery. In addition to the city activities, travelers will experience spectacular views of dense rhododendron and oak forests, and vast mountain and valley landscapes, including the Black Mountain Range, while traveling from area to area. Travelers will also stop at mountain villages while traveling, such as the village just outside of Wangdue Phodrang, known for its marvelous slate and stone carvings. This trip is perfect for anyone who enjoys outside activities, sculpture art, and shopping. Please note: Thimphu weekend market is held from Friday to Sunday. So, your Bhutan flight must be scheduled for either Wednesday, Thursday, or Friday. Day 01: Arrive in Paro and go sightseeing. Day 08: Conclude the tour in Paro. 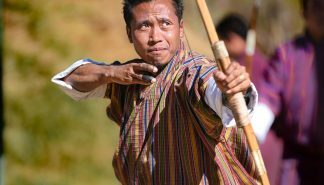 The Spiritual and Cultural Tour is filled with traditional Bhutanese culture, ancient traditions, historical landmarks, Buddhist teachings from a high lama, and much more. This amazing tour focuses on providing travelers the richest cultural and spiritual experience possible. 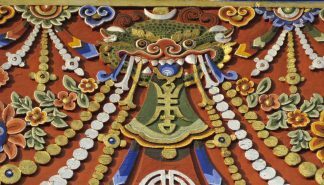 This journey begins in Paro with a tour of well known landmarks that have cultural and spiritual significance, including the Rinpung Fortress and the Kichu Lhanhang Temple. The following day, travelers will have the opportunity to visit a high Buddhist lama, who will give the teachings of Buddha to awareness seekers. 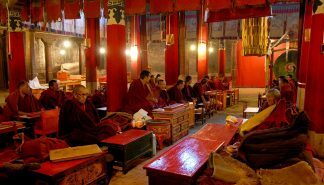 The tour continues on horseback to the Bumdra Monastery, which is a perfect environment to contemplate and practice the teachings of the high lama while taking in the beautiful scenery. Travelers will spend the following day at the Bumdra Monastery for continued spiritual exploration. The journey continues to the Tiger’s Nest Monastery (Taktsang) and concludes with a village walk in Namseling and a day hike in Punakha. If you're looking for both a physical and spiritual journey in beautiful Bhutan, this is the tour for you. This fun adventure captures the cultural uniqueness and natural beauty of Bhutan. The tour begins in Paro with a hike to the Tiger’s Nest Monastery. Next, the tour travels to Thimphu, a city with a unique fusion of traditional style and modern culture. The tour then goes by car through Dochu La Pass into the lush tropical valley of Punakha.